What are the Symptoms of KCS? What is the Cause of KCS? When you look at an eye, you see the eyelids, cornea (the see-through part), and the sclera (the white part). The coloured part of the eye is the iris, a muscular sheet that lies behind the cornea and in front of the lens. The cornea is completely clear in the normal dog lacking any blood vessels or pigment. This means any cells within the cornea have to derive their nourishment from one of two sources. The first is the water behind the eye. This water, called the aqueous humor, is always there, and is constantly being produced and absorbed. The second means of nourishment, especially for cells near the external surface of the cornea is the tears. Tears have three main components: water, lipid (oil) and mucus. The lipid component is there to slow down the rate of evaporation of the water component, and it is the water component that is thought to contain the necessary nourishment for the cornea. In KCS, it is only the water component that is deficient. The symptoms of KCS are due entirely to the consequences of having insufficient tears, and the resultant drying of the cornea. In the early stages of the disease, the main symptom is that the conjunctiva appears red, indicating inflammation, and the eye can be acutely painful, resulting in spasm of the eyelids making it difficult to examine. Later, this acute pain diminishes and only a mild irritation persists. There is often a thick, sticky, yellow discharge from the eye, that can be very profuse. If the condition is misdiagnosed as conjunctivitis, it does not respond very well to antibiotic eye ointment, or it may quickly relapse after the treatment finishes. The cornea appears dull, and lacklustre. This is evident by viewing the reflection of a light bulb or a window in the cornea – instead of a good, clear reflection there is an indistinct blurred one. As the condition progresses, the cornea becomes invaded with blood vessels and pigment. This reduces the ability of light to pass through the cornea, and the affected dog can become blind as a result. Corneal ulcers can also occur, and these are usually very painful, (an ulcer is a defect in the exterior lining of the cornea). Most cases of KCS have very characteristic symptoms. However, there is a degree of similarity with simple conjunctivitis, and to be sure of KCS, the dog’s tear flow has to be measured. This is done by the “Schirmer Tear Test.” This involves putting a standard paper strip between the lower eyelid and the eyeball. This is left in position for one minute, and the distance that the tears have moved along the strip is measured. If the tears have moved more than 15mm, the dog is definitely normal. If the tears have moved less than 10mm, the dog is definitely abnormal. There is a “grey area,” of 10-15mm were affected individuals could be either normal or abnormal. Autoimmune means the dog’s immune system has malfunctioned, and is attacking the glands in the eye that produce tears. Idiopathic means there is no identifiable cause. This is due to the limit of our knowledge of the disease process, and in due course, further causes are likely to be discovered. Congenital means that the dog was born with defective tear glands. Sulphasalazine is different from the others in that the sulphonamide that it contains is produced by bacterial action on the drug in the intestines. In the early stages of the disease, the affected eye is often acutely inflamed, with a bacterial conjunctivitis, and blood vessels and pigment infiltrating the cornea. In these circumstances, regardless of what long-term therapy is used, the eye needs to be lubricated quickly. An antibiotic is required for the treatment of the bacterial infection, and a steroid is useful to inhibit the migration of new blood vessels into the cornea. Maxitrol® drops combine all three of these properties. It is a combination of hypromellose (see below), two antibiotics and a potent steroid. At Vetrica, although not licensed for use in dogs, and except where a corneal ulcer is present, all cases of KCS receive Maxitrol® drops in the early stages. This usually gives a rapid improvement before more permanent therapies have had a chance to work. In dogs where there is an identifiable, underlying cause, such as thyroid hormone deficiency, thyroid hormone tablets are usually successful at treating the KCS. There are two types of long term medical treatment for KCS: drugs that are used to wet the eye (artificial tears); and drugs that are used to stimulate tear production. Artificial tears have to be applied to the eye very frequently to be successful. This typically means every 2 hours, although more frequently is desirable if at all possible. These preparations are slightly viscous drops that coat the eye, rather than dripping instantly away like water would. There are a number of brands available, but they commonly contain either hypromellose, or hydroxyethylcellulose. At night, or for periods where there will be a prolonged time where the drops cannot be administered, ointments are available, such as Lacri-lube®. These have the advantage of having a longer duration of action, but being ointments, they are messy, and can interfere with vision. The problem with artificial tears, apart from the obvious difficulties with administration, is that real tears do far more than simply wet the eye. They are an important part of the nutrition of the cornea, and contain proteins that prevent bacterial growth. Consequently, even where they are used regularly enough, they can be unsuccessful at treating the disease. Drugs used to stimulate tear production. Pilocarpine. This drug is given orally, and directly stimulates the tear producing glands to produce tears. In the event of the failure of the nervous supply to the tear glands, this is a useful drug. However, it is much more common for KCS to be due to a degeneration of the tear producing glands, in which case, pilocarpine is of no use. This drug is marketed in the U.K. as Optimmune®, and is available as an ointment that is applied to the eye twice daily. Cyclosporin A is a powerful suppressor of the immune system. When applied in very small quantities to the eye, it has very little (if any) effect generally on the immune system, but it does prevent the immune system from destroying local structures such as the tear producing glands. In very advanced cases, where there is complete destruction of the tear glands, this drug may not be effective. However, as long as some tear producing tissue remains, it can regenerate if the immune destruction is stopped in time, and most cases of KCS that are due to the autoimmune problem can be very successfully managed long term by the use of cyclosporin A. Most cases of sulphonamide induced KCS also respond very well to this treatment. Cyclosporin A has to be used for at least a month to determine if it is going to be effective. Tear production may not have returned completely to normal by that time, but it should be much better than before starting treatment. This drug restores natural tear production which is preferable to any other form of treatment, and in the vast majority of cases is the treatment of choice. Where KCS is unsuitable for medical management for whatever reason, there is a surgical procedure to move the outflow from one of the salivary glands into the eye. The salivary gland involved is called the “parotid gland”, and is found at the base of the ear. The operation is called “Parotid Duct Transposition.” This gland has a long, easily identified, robust duct that empties into the mouth at the level of the 4th upper premolar tooth, (in the dog, this is the largest of the upper cheek teeth). Before proceeding with this operation it is important to be sure that the parotid gland is producing saliva. This is because the salivary glands can become involved with the same disease process as the tear glands, resulting in a dry mouth as well as a dry eye. The salivary glands are tested by placing a bitter tasting liquid onto the tongue after lifting up the lips in the region of the parotid duct outflow. In most dogs, saliva can be seen squirting (with an amazing force!) from the gland opening. Assuming that the parotid gland is working, the dog can be anaesthetised, and the duct dissected free from the side of the face, and moved up so that its outflow is into the gap between the lower eyelid and the eyeball. Once the operation site has healed, and the hair regrown, it is not possible to see that this procedure has been performed without a careful examination of the eye. There are a number of potential problems with this procedure. First, just as with artificial tears, saliva is not tears. Also, saliva is not produced at a constant rate by the parotid gland, so the dog may need feeding every 2 hours or so to stimulate saliva flow. This need only be a small biscuit, but it is still a significant undertaking to keep snacking the dog throughout the day. It is also possible that salt crystals form in the eye from the saliva, and this can be so significant that it warrants a further operation to close the transposed duct off. In these circumstances, medical treatment must be reinstated. Some dogs will have a massive production of saliva that streams down over the face, causing a dermatitis. While it is possible to partially occlude the duct, allowing only a limited quantity of saliva to flow, this is a very difficult effect to achieve. For these reasons, parotid duct transposition should not be undertaken lightly, and at Vetrica, we reserve this procedure for cases where medical treatment has proved to be unsuccessful. Having said that, where the cases are appropriately selected, it can be a very rewarding procedure.ic dogs. However, every dog, is different, and different drug combinations need to be tried in individual cases. The outlook depends on what the underlying cause is, and how long the dog has been affected with the disease. 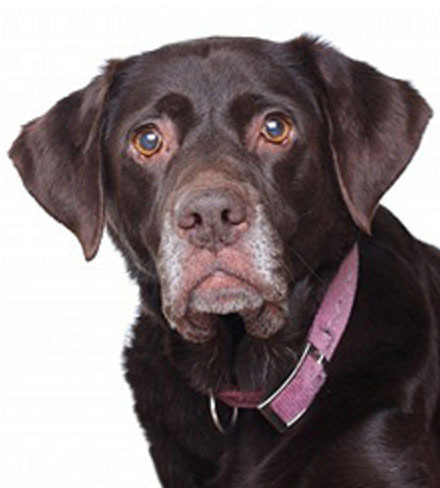 In dogs that have thyroid hormone deficiencies, the outlook is invariably very good – normal function can be expected to be restored with thyroid hormone tablets. Most cases of idiopathic, autoimmune or drug induced KCS will respond tremendously well to cyclosporin A treatment. Unfortunately, if the disease is very longstanding, the dog may be completely blind due to irreversible changes within the cornea, irrespective of whether or not tear production returns. If parotid duct transposition is performed, it is important not to forget that the dog still has KCS, and keep to a regime of regulated food intake. If cyclosporin A is unsuccessful, and parotid duct transposition not possible due to a lack of saliva, the only treatment option is very frequent administration of artificial tears, and it is almost inevitable that these dogs will do less well than those managed by other treatments.